The need for restraint can sometimes muddle the best efforts in really great sandwich making, as one that is loaded with the works can quickly become an unwieldy tower of goodness… super yummy, but difficult to keep intact (or eat). In this particular little sandwich, everything piles onto a crusty olive ciabatta loaf slathered with hummus and pesto. There’s peppered turkey, mozzarella, baby spinach, fresh basil leaves, marinated artichoke hearts, roasted red peppers, golden sautéed strips of zucchini, black olives, red onions, and tomatoes. It’s a scrumptious tower of goodness, in deed. No restraint involved. Just a weighty little press… and voilà, you get to keep all those really tasty tidbits that make a good sandwich great. 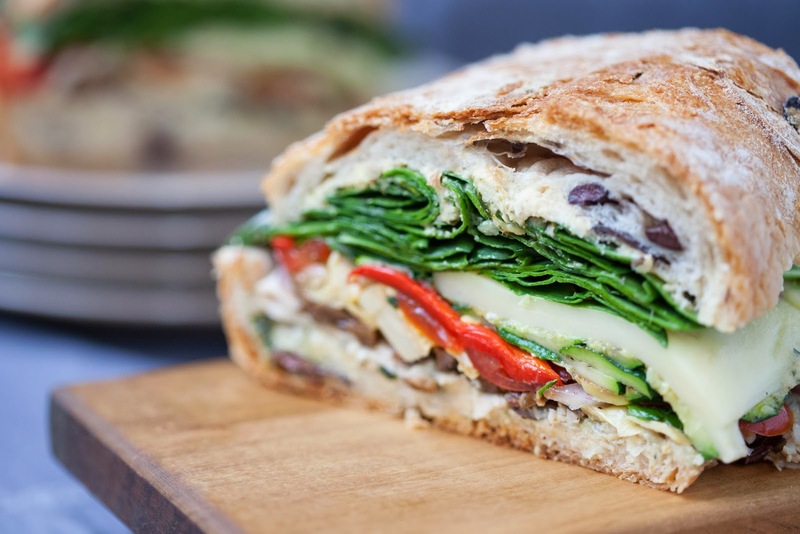 The greatest thing about this sandwich is that you can easily tweak it to be dairy-free (omit cheese and make your own cheese-free pesto) or vegetarian (omit turkey and add additional roasted veggies, like carrots, mushrooms, eggplant, etc.). To help tame the pungency of the red onion, simply slice them and place in cold water for about 10 to 15 minutes before using. Preheat oven to 375 degrees F. Place ciabatta halves on a baking sheet, cut side up, and heat in oven for 5 minutes. Meanwhile, heat oil in a large skillet over medium high heat and sauté zucchini slices until just golden tinged, about 1 minute on each side. Work in batches, transferring each batch of sautéed zucchini to a paper towel to rest when done. Set aside. Remove bread from oven and transfer to cutting board. Divide hummus in half and spread on each of your two halves of bread. Repeat with pesto, spreading right over hummus. Working with the bottom half of bread, layer turkey, followed by remaining ingredients, and cover with top portion of bread. Press sandwich down firmly, wrap securely in foil, and place in oven to heat through for another 5 minutes. Remove foiled-wrapped sandwich from oven. 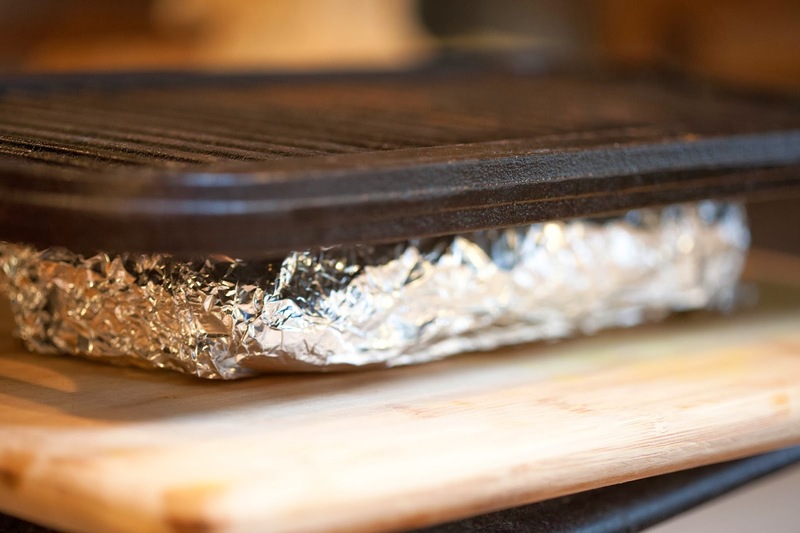 Place on a flat surface and top with a weighty press (foiled-wrapped brick, iron skillet, iron griddle). 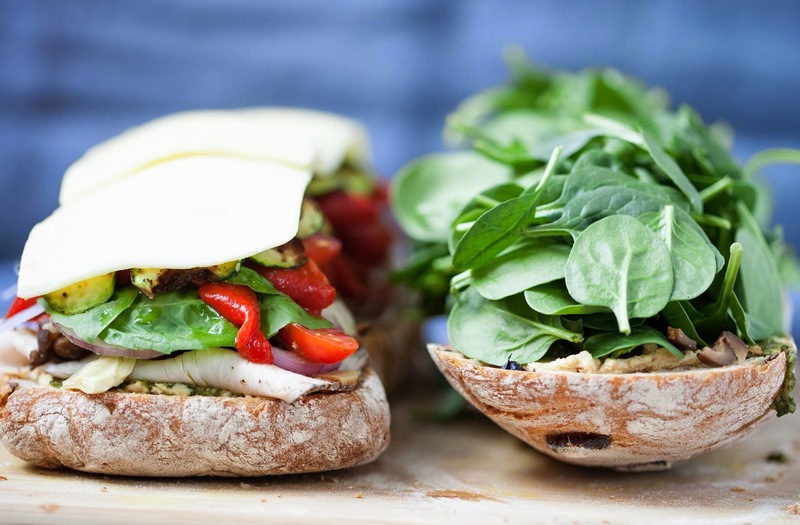 Keep press on sandwich for 5 to 10 minutes, applying intermittent additional pressure to press. Remove press, unwrap, slice, and serve.